I love writing puns and I love writing with puns. Over Thanksgiving, I brought a new game to play with my family called Punderdome. I found this game at Riverstone Books, my favorite local bookstore. I’m very lucky that the family was willing to give it a try, even my 13 year old son got into it! The game is simple. In round 1, everyone tries to guess the answer to a pun. I was not too shabby at that part. For example, what’s the most disgusting store to shop at? A grocery store! In round 2, the judge deals out 2 cards with categories and the players try to make a pun combining the two. For example, one of my answers for “Star Wars” and “Winning” was “Yoda Man!” Too bad I didn’t come up with that answer until after the game. I use a lot of puns in my writing. 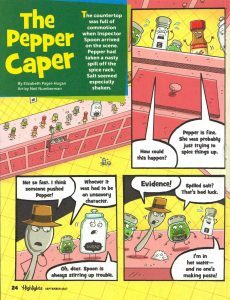 I used puns in my story “The Pepper Caper,” published in Highlights for Children (September 2017). I have several drafts of manuscripts that incorporate lots of puns. There’s always thyme for some puns. 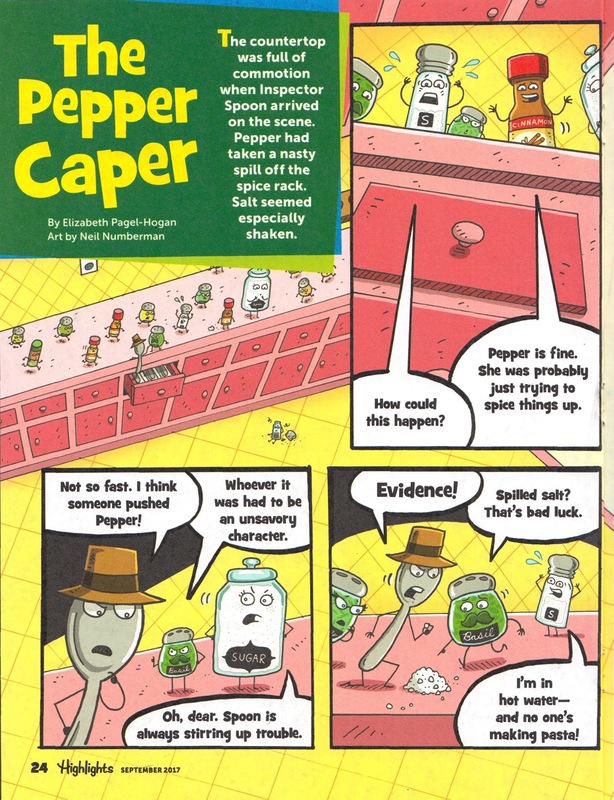 People say puns are lowest form of humor, and one reason is because word play is one of the first kinds of humor that children can understand. But that’s irritating to me, because it implies that children’s level of comprehension is low. My 13 year old made some excellent puns. And in my opinion the best puns require knowing A LOT of words AND their meanings. Games like Punderdome are a great way to practice your humor writing skills. I also love Rory’s Story Cubes and Word Dominos. Do you like writing puns? What are your favorite puns? 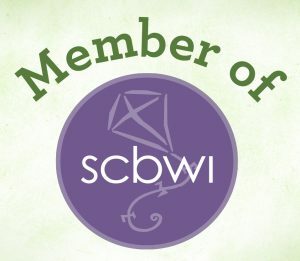 What other games do you like to play that help you be a better writer?